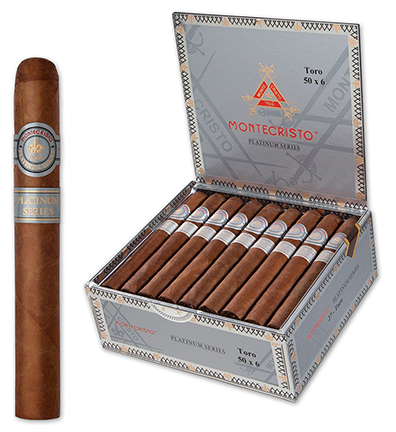 The iconic Montecristo brand sets new standards in handmade luxury with its Platinum Series premium cigars. These exquisite medium-bodied cigars are crafted in the Dominican Republic with Nicaraguan, Dominican, and Peruvian long-filler tobaccos bound in Dominican leaf and covered in a beautiful San Andres Cubano wrapper. Montecristo Platinum Series cigars offer connoisseurs a rich, aromatic, and smooth smoking experience with notes of cedar, roasted coffee, and cocoa.